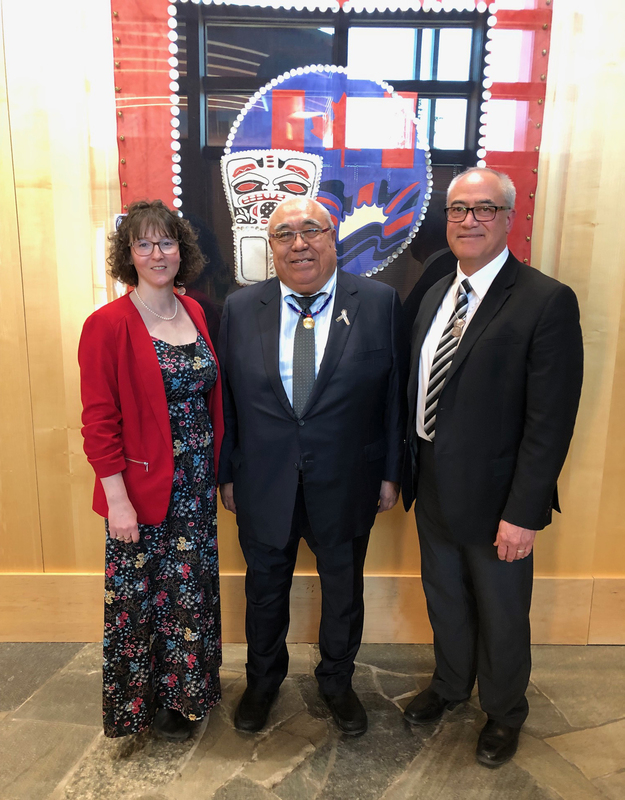 During the meeting of the WSN on March 27, 2019, representatives from the Regional District of Kitimat-Stikine attended to make a presentation to Harry Nyce Sr. to note his 31 years of service on their Board of Directors. Ron Poole, CAO, and Yvonne Koerner, CFO, presented Mr. Nyce with a gift and spoke. According to Mr. Poole, in addition to his time on the RDKS Board, Mr. Nyce has served on many committees at the provincial & federal level and it was noted that he was the first Indigenous president of the Union of B.C. Municipalities. 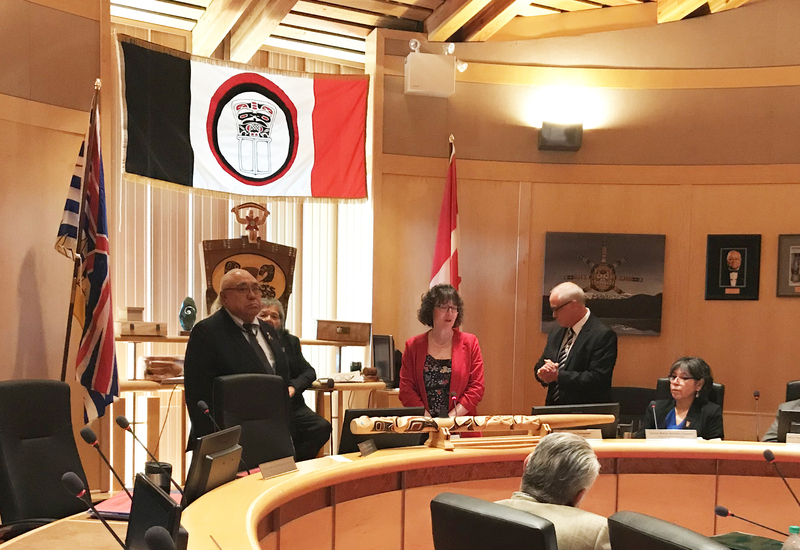 In his response, Mr. Nyce noted that he was pleased to be part of the Nisga’a Nation’s long history of supporting the Regional District of Kitimat-Stikine, and past members from the Nass Valley were responsible for starting Nisga’a Valley Health and School District #92. Harry Nyce Sr. is the Director of Fisheries and Wildlife for the Nisga’a Lisims Government, and the staff and executive congratulate and commend him on his many years of service to the community.